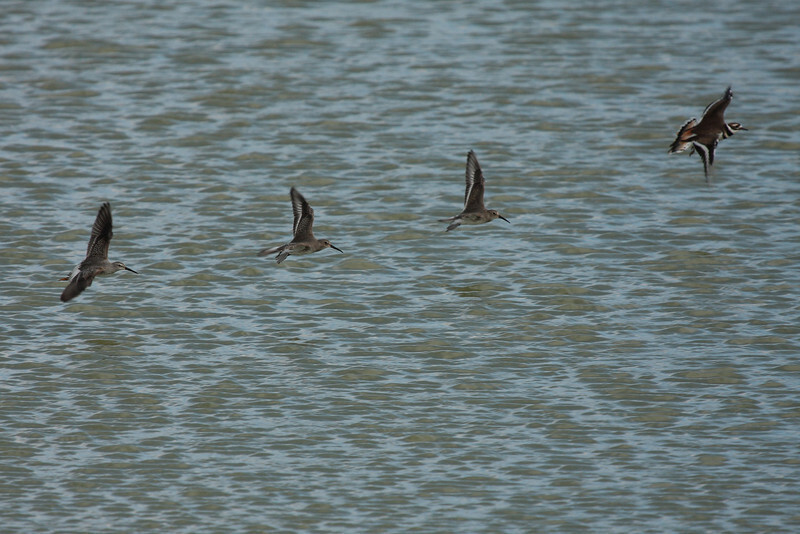 Stilt Sandpiper trails behind two Dunlin led by one of many Killdeer found on Leonard's Pond this day. The Stilt Sandpiper was identified that morning by a fellow birder; and was later observed by several of us. The bird stayed close to the two Dunlin the entire time.